Hi friends, hope you have enjoyed the weekends. Today I bring an interesting dessert for you. 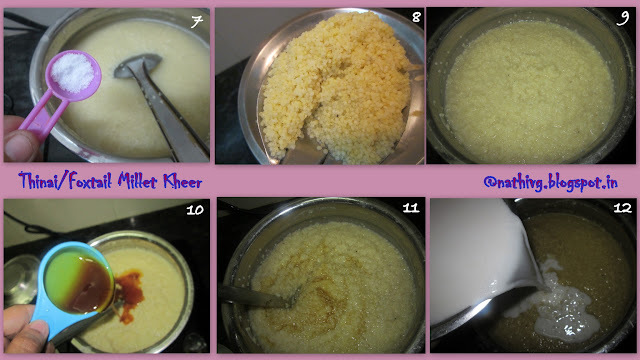 We usually will prepare kheer with vermicelli, semolina, sago pearls, moong dal n sometimes with rice... Isn't? 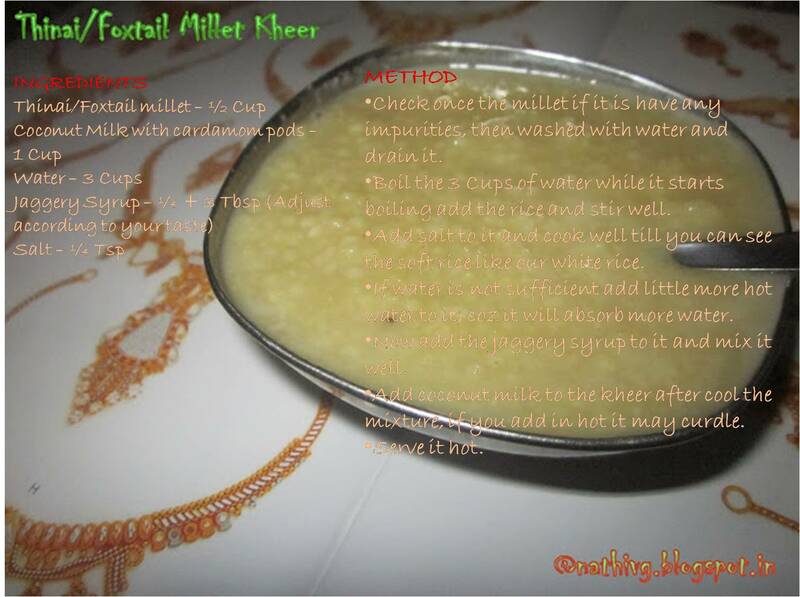 This time I prepared the kheer with thinai/Foxtail millet ... Its taste is really very delicious and healthy. Foxtail millet is the gluten free grain which is one of the most world's cultivated crops. In older days the people used the thinai to make ThenumThinamaavum (Honey and Foxtail millet flour), it is very healthy one. Hope all u know that very divine and popular temple of lord Dhandayuthapani (lord Murugan) in Palani, there we can get prasadham as panchamirtham (Mixed fruit Jam) is very popular but many of you don’t aware of ThinaiMaavu also the prasadham in Palani Temple… Palani is just 1hr distance from my place and I like the ThinaiMaavu more than Panchamirtham which is combined with Jaggery, and it looks like in powder form. Foxtail millet may help control blood sugar and cholesterol. Sprouting millet makes some minerals. It decreases triglycerides and C-reactive protein. Check once the millet if it is have any impurities, then washed with water and drain it. 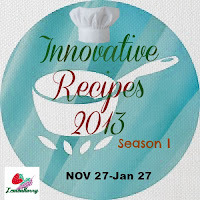 Boil the 3 Cups of water while it starts boiling add the rice and stir well. Add salt to it and cook well till you can see the soft rice like our white rice. If water is not sufficient add little more hot water to it, coz it will absorb more water. Now add the jaggery syrup to it and mix it well. Add coconut milk to the kheer after cool the mixture, if you add in hot it may curdle. Yummy Thinai Payasam is waiting for U!!! You can use ghee fried raisins, cashews for garnishing. we can replace sugar instead of jaggery syrup but this taste will not come with sugar so I suggest jaggery syrup. Can cook the millet in pressure cooker for 2 whistles the ratio is 1:3. Healthy, guilt free, yummy dessert..
wow delicious and very earthy kheer!!! I also love your coming up next idea on top of the page!!!! Very new to me this millet. Healthy too and yummy it looks. 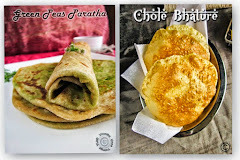 yummy and lovely clicks sis.i ate this one time but not tried.super super. Healthy payasam Viji and as always nicely explained :) Thinai is so good for all specially women, I recommend everyone to try this kheer :) Awesome!!! This payasam looks lipsmacking good dear. 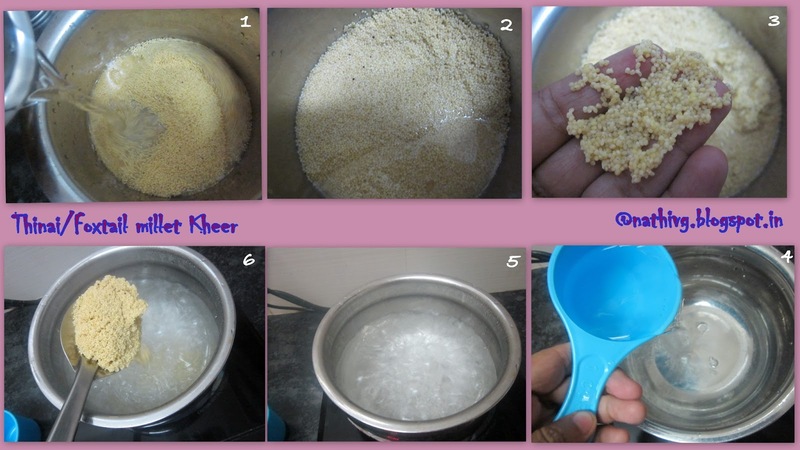 Am adding this healthy millet very often in my diet now, loving this delicious,creamy kheer. So healthy and guilt free. 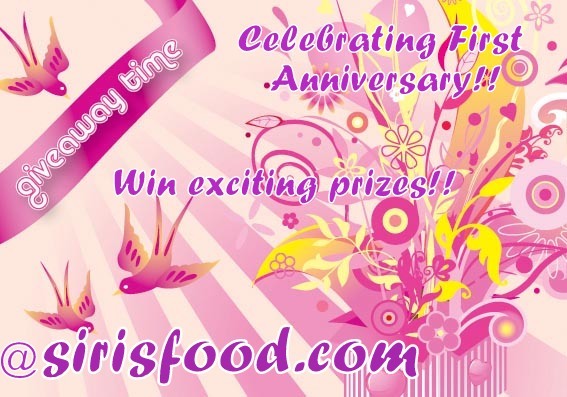 Awesome, new to ur blog. Please stop by mine too!!! healthy n tasty payasam..i like to have dis hot or cold.can u serve 4 me dear..
A very healthy kheer..And lots of good work from you Vijayalakshmi..hats off ! Never tried this, looks very yummy..
Versatile millet, love the payasam recipe with it. innovative recipe... healthy and delicious..
Foxtail millet payasam... it looks delicious..lovely and healthy recipe. Yum!!! Yummy!! Great post.. 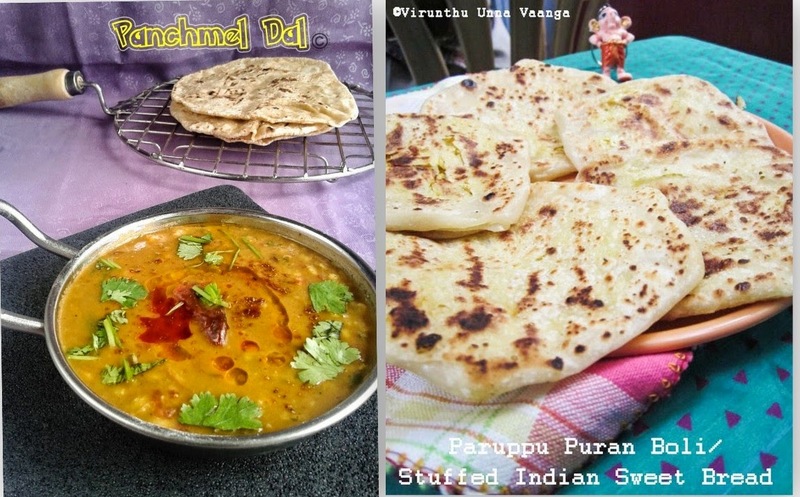 Thank you very much for sharing this dishes,. This is the very healthy foods,,.